A supreme combination of true artistic work and quality colored glass. - Height : 140 mm, 110 mm, 90 mm. - Max Dia : 76 mm, 65 mm, 54 mm. - Capacity : 100 ml, 50 ml, 25 ml. 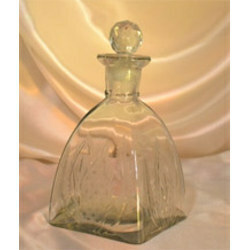 Being a well-renowned entity, we are engaged in providing a distinguished range of Decorative Mercury Glass Bottle Vase. 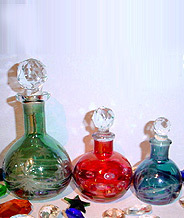 - We Manufacture and export glass bottle hand made handicraft etc. With a motive to stand high on all the expectations of our customers, we are instrumental in offering Bottle Painting.